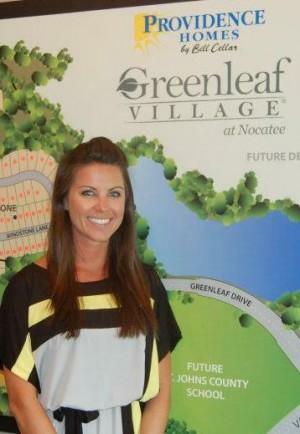 A special congratulations to Michael-ann Matchett, Sales Associate at Greenleaf Village in Nocatee. Michael-ann is celebrating her 6-year anniversary, and we sincerely appreciate commitment and dedication to both Providence Homes and Providence Realty. She was also recognized as the 2012 Providence Realty Sales Associate of the Year. We’re happy to have Michael-ann as part of our family and can’t wait to celebrate more years to come!